The close relationship between photography and archaeology is widely acknowledged. Since its invention, photography has been an indispensable documentation tool for archaeology, while the development of digital technology has facilitated the growing needs of an archaeological excavation in recording and archiving. Still, both photography and archaeology are much more than documentation practices. On the one hand, photography is the most appropriate medium for creating visual art; on the other, the excavation is a locus where material and immaterial knowledges are constantly being produced, reproduced and represented; as such, it constitutes an ideal “topos” for experimentation in creating images. This entangled relationship between photography and archaeology, and art and documentation, has only recently attracted attention, emerging as a separate field of study. 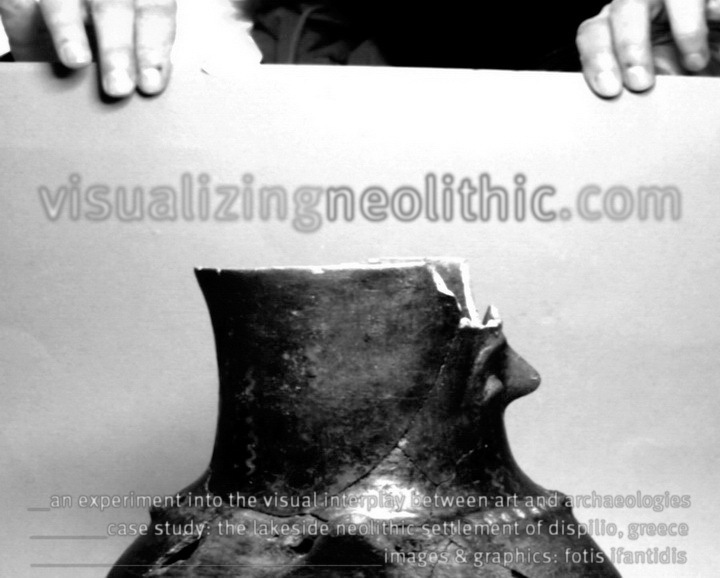 Archaeographies: Excavating Neolithic Dispilio consists one of the very first experimentations in printed format, dealing with this visual interplay between archaeology and photography. The case study is the excavation of the Greek Neolithic settlement of Dispilio. The book tackles archaeological practice on site, the microcosms of excavation, and the interaction between people and “things”. Archaeographies derives from an on-going, blog-based project, launched in 2006 (visualizingneolithic.com). The black-and-white photos of the book were selected from a large archive, and are loosely assembled as an itinerary. They are accompanied by a laconic commentary, in order to retain the sense of ambiguity and allow multiple interpretation of the images.